Riverbed enables hybrid enterprises to transform application performance into a competitive advantage by maximising employee productivity and leveraging IT to create new forms of operational agility. 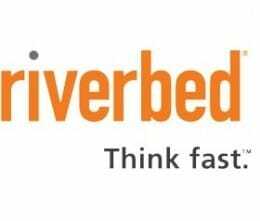 Riverbed’s 28,000+ customers include 97% of the Fortune 100 and 98% of the Forbes Global 100. Riverbed is the platform for the hybrid enterprise, leveraging location and distance to help businesses perform faster and run more efficiently. Our products and the Riverbed Application Performance Platform™ give CIOs unparalleled visibility to deliver, control, and optimise all IT resources across the hybrid enterprise. Call 1300 IT ASSIST (1300 482 774) today if you would like to discuss how your organisation can benefit from Riverbed technology. Alternatively, email ITASSIST@moncrieff.com.au.